Welcome home to this renovated 5 bedroom 2.5 bath home with plenty of space for everyone! 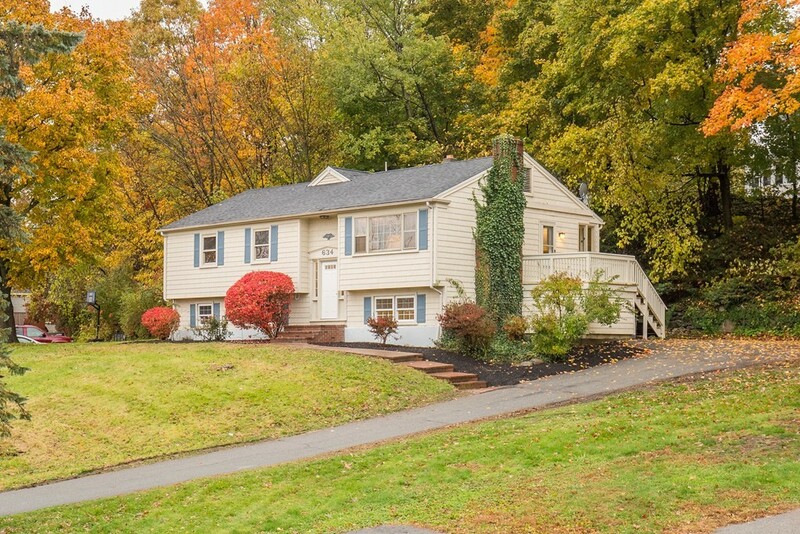 Located on a large lot tucked off of the main road this home is in an excellent commuter location only about 1 minute from 495! Features include smart locks that can be locked and unlocked right from your phone, a large open concept kitchen and dining room space with tons of cabinet and pantry space. New quartz countertops with brand new stainless steel appliances. The entire home has been painted inside and out. Wood look tiles in kitchen and dining area, refinished hardwood floors throughout the entire first floor, working wood burning fireplace in the living room, new wall to wall carpet on lower level with working wood fireplace downstairs, full irrigation system, a whole house fan, vinyl siding, new rebuilt deck, tons of storage space, separate laundry room, roof and heating system approximately only 10 years old, new hot water heater about 1 year old. Be home and entertain for the holidays!